Two hungry world champions, one maverick boss and a reliably fast racing car. Has Ferrari found a winning recipe for the 2015 Formula One season? Kimi Raikkonen — the last man to claim a world title for the famous Italian team, back in 2007 — agrees the “Prancing Horse” is looking good ahead of Sunday’s Spanish Grand Prix at Barcelona’s Circuit de Catalunya. With four races gone in 2015, Ferrari is second to Mercedes in the constructor standings — and is pushing the world champion hard. The Finn has a new teammate at Maranello this year, four-time world champion Sebastian Vettel who joined from Red Bull. The two drivers have a lot in common: both are new dads and live in Switzerland, where they occasionally face each other on the badminton court. 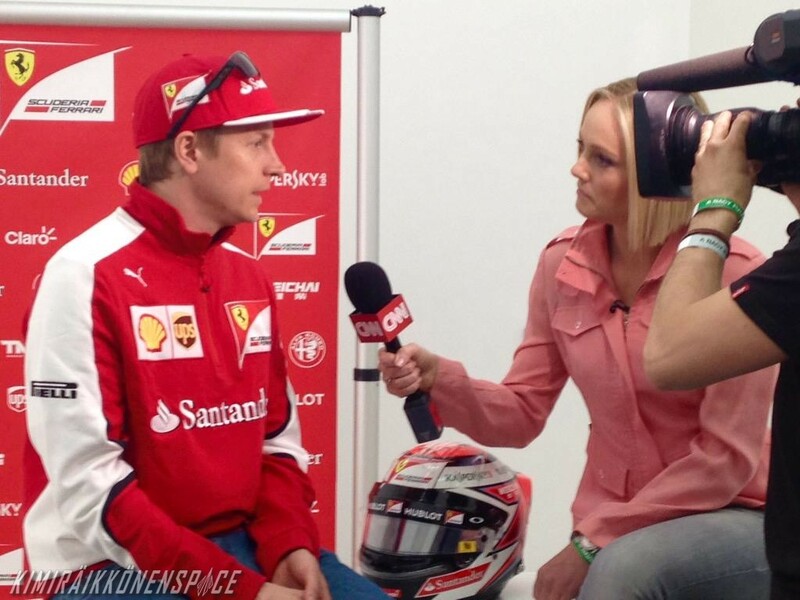 “We know each other,” Raikkonen explained with typical understatement. “He’s a very normal guy and he’s easy to work with. So far, Vettel has emerged as Ferrari’s No. 1 driver. The German ended the team’s victory drought with a brilliant strategic win at the Malaysian Grand Prix, and was third in Australia and China. 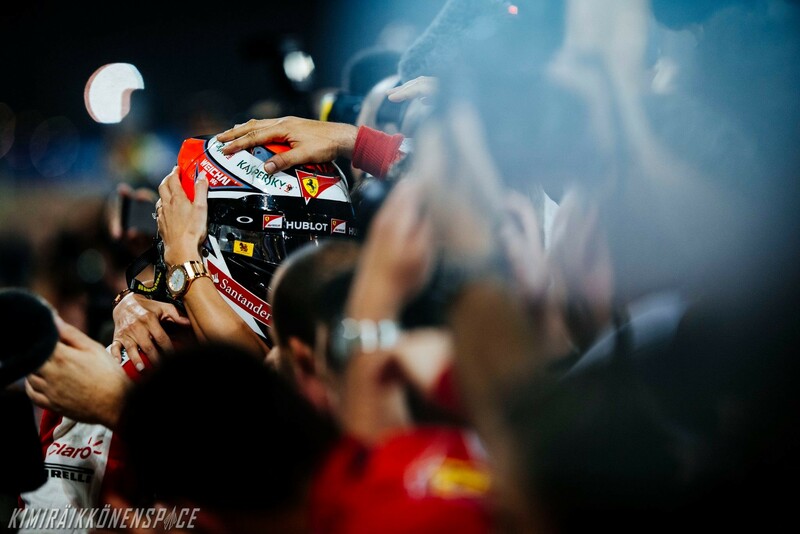 But a revitalized Raikkonen fought back at the last grand prix in Bahrain, finishing second to Mercedes’ race winner Lewis Hamilton as Vettel came home in fifth. “We are trying to beat each other,” revealed Raikkonen, whose last race win came with Lotus in 2013. A new broom has been sweeping through Ferrari’s headquarters in the shape of Maurizio Arrivabene. The Italian was a surprise appointment as team principal in November but his straight talking, not to mention his eye-catching tattoo, have impressed. “I like how he runs things,” said Raikkonen. “You get the answer from him, it’s either yes or no, there’s nothing in the middle. Vettel has a three-year contract with Ferrari while Raikkonen’s deal runs out at the end of the 2015 season. Arrivabene said last month Ferrari would not yet exercise an option to extend the driver’s contract for another year because he wants to keep him motivated. “Kimi is giving the best when he is a bit in trouble. This is a psychological approach,” he told reporters. With two-time world champion Hamilton and Williams’ Finnish rising star Valtteri Bottas linked to a future Ferrari drive, Raikkonen was keen to state his case. When asked if he would like to stay at Ferrari, the 35-year-old replied: “Yes, of course. “They know very well what I would like to do, and we have a very good understanding but until there is something 100% you don’t know.